Already, 32 percent of India’s population lives in cities. By 2030, this figure will increase to 40 percent— 590 million people. How national leaders, local officials and planners handle this immense demographic shift has huge implications for India’s citizens, economy and environment. Compact, efficient cities can combat climate change, drive economic growth and enhance public health. Poorly planned, sprawling cities will increase pollution, fuel climate change and degrade citizens’ quality of life. WRI India seeks to mainstream sustainable urban development. We work with decision-makers to help India build energy-efficient, compact cities built around sustainable transport. WRI India uses economic analysis, research, mapping and other tools to make the case for sustainable urban development. We work to enhance public participation and expand access to clean energy and other goods and services. And through our EMBARQ India program , we forge partnerships with the government, private sector and civil society to shift cities away from private vehicle use and toward options like biking, pedestrian walkways and public transit. These initiatives are expected to serve more than one million people every day, improve public health, reduce CO2 emissions by 100,000 tons, and save commuters 35 million travel hours per year; they will also contribute to public health benefits – less road fatalities and exposure to air pollutants and increased physical activities. 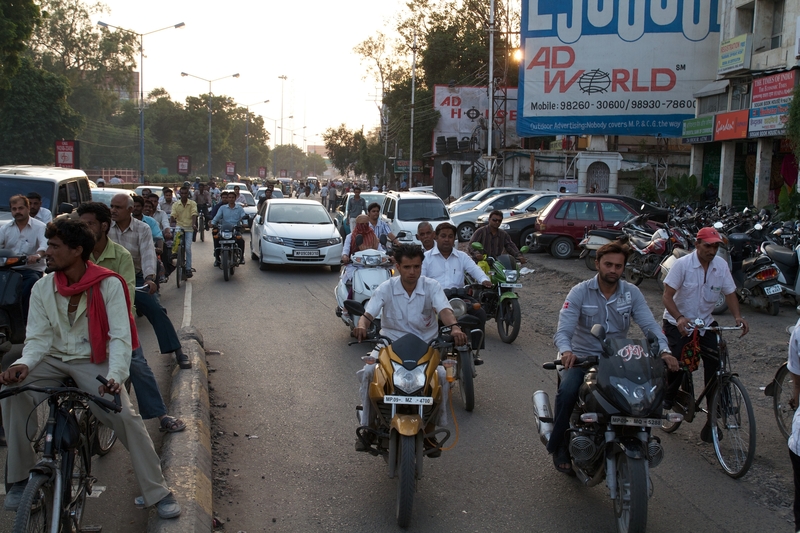 More than 150,000 people die in traffic-related deaths every year in India. The modal share of two-wheelers and cars in Indian cities will steadily increase, from 24% in 2007 to 46% by 2031. Air pollution is the fifth-leading cause of death in India, with more than 620,000 premature deaths every year. The top 10 cities in India are estimated to produce about 15% of GDP, but hold 8% of the population and just 0.1% of the land area by 2031.